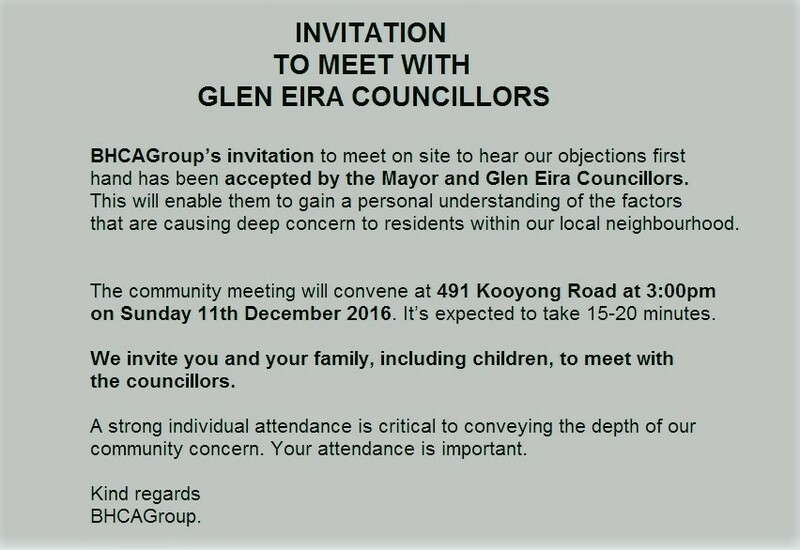 The Bethlehem Hospital Community Action Group (BHCA Group) who are opposing the proposed Bethlehem Hospital 19 Storey Development have invited interested residents to join them in a meeting with Glen Eira’s Mayor and Councillors to express their concerns about the development. To assist anyone interested in lodging an objection to proposed development, the Group has prepared the below information and standard objection. The cut off date for lodging your objection is Monday, 19 December 2016. Only those who register an objection will be advised by Council of the community consultation meeting with the applicant and council expected in early February 2017. Every adult in your household should lodge an individual letter of objection. The overall number of objection letters is critical to influencing Council. You may wish to construct your own letter. If you do we would appreciate an email copy in preparation for any potential VCAT hearing. Copy all of this email into a new email and then follow instructions 2-6. Insert your name and address where indicated in the text below. Then delete all text above the line that reads “Dear Sir/Madam”. Check your email and send it. My name is [insert your name]. I reside/own the property at [insert your address]. The visual bulk and physical mass of the proposed building, in particular the 19 Storey Tower will have a detrimental effect on my privacy by overlooking my property and/or substantially causing sun shadow and a decrease in my natural sunlight. The height, size and bulk of the proposed buildings does not respect the neighbourhood character and is completely out of step with its surrounds. 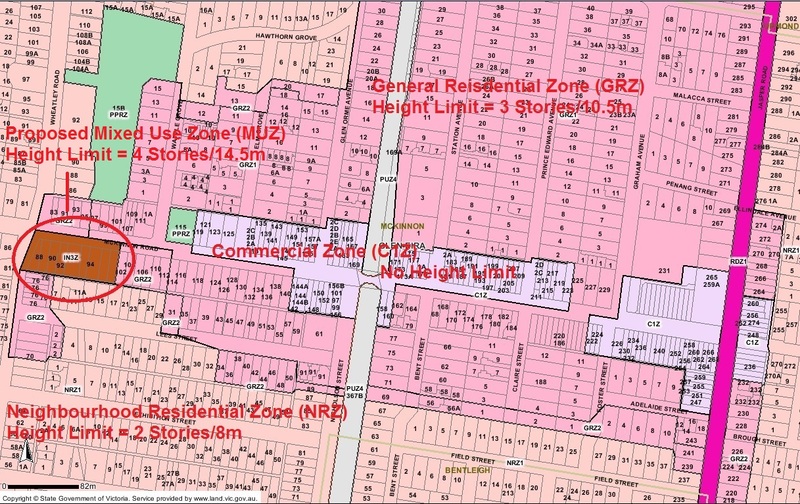 It does not meet the requirements detailed for Neighbourhood Residential Zone 1. Such a development would reduce the amenity of my neighbourhood. The proposed development will substantially increase traffic and parking congestion in the area due to increased needs from residents, staff, commercial operators, patrons and visitors. Surrounding streets already suffer significant traffic and parking congestion and if this development was to proceed it will be exacerbated. Such a development would create gridlock in my neighbourhood. I wish to be advised of any consultation meeting. I request that you take my objections into consideration and ask that this application be denied in its current form.